Registration Fee: $390.00/person. Paid by check. Registration Fee: $400.00/person. Paid online. Register Now With PayPal! • Register By Mail With Check. Limit 12 participants. Spots Open: 8. "The Power of Adventure - Nature, Hiking, Rappelling, Cave Exploring, Yoga, Healthy Eating, Wellness and Fellowship"
Enjoy an adventure-packed, getaway weekend at Carter Caves State Resort Park. This women’s only wellness weekend focuses on adventure, fitness and good nutrition. Reenergize your mind and body! Hike as you take in the beauty of the fall colors, rappel from a sandstone cliff, explore the natural wonders of caves in one of the largest natural cave systems in eastern Kentucky, and reach optimal physical and mental relaxation under the expert guidance of a certified yoga instructor and a certified health minister. Overview: This is a three-day, two-night, adventure, yoga and wellness outing for ladies in the wilderness beauty of Carter Caves State Resort Park. The weekend includes fun activities inside, outside, and underground which are designed to help you unwind as you enjoy nature and make new friends. The deluxe cabins offer inviting and comfortable accommodations. Bring a friend! The Cottages: No roughing it here! These deluxe cottages have all of the modern conveniences of home. Each cottage has two bedrooms, four double beds, two full bathrooms, full kitchen, wood burning fireplace, couch, covered deck, TV and telephone. Tableware, cooking utensils, linens and firewood are provided. The cottages have a refrigerator, microwave, dishwasher and coffee maker. Daily linen is service available. Four gals to a cottage. Pick a room-mate or come with three friends and have a cottage to yourselves. 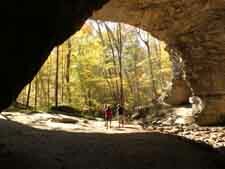 Thursday Lodging Special: Arrive at Carter Caves on Thursday and stay in a lodge room for only $59.95/night + tax. Call 1-800-325-0059 to book your room. Mention "Women's Adventure Weekend" to get this special rate. By arriving the day before you'll be sure to not miss a minute of fun! Subject to lodge room availability. The Trails: There is plenty of above-ground adventure on the twenty-six miles of nature trails at Carter Caves State Resort Park. While the park is known for its caves and caverns, its best kept secret is the hiking trails. The scenic trails wander among sandstone cliffs, beautiful arches and natural bridges. You will hike the best of the best trails during this weekend. Three Bridges Trail:As the name implies you'll see three impressive natural bridges on this 3.5 mile loop hike including the largest bridge in eastern Kentucky. You will marvel at these beautiful bridges as you get an up-close view of them. 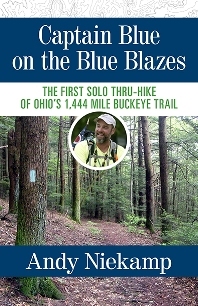 This hike will be led by a retired park naturalist who has lived in Carter County for 50 years. Natural Bridge Trail: This short, half-mile trail, takes us through and over an impressive limestone natural bridge. Natural Bridge is one of the landmarks of the area and is quite unique in Kentucky. Box Canyon Trail: One of our most scenic trails and passes unusual geologic features in the park, including the Cascade natural bridge, the Box Canyon and the wind tunnel. This trail is hilly and fairly difficult and is slightly less than one mile long. Mild Yet Wild Cave Trip: Adventure awaits as you journey underground into the maze of natural passages of Cascade Cave. Our experienced and expert cave guide will lead you on a short hike of Box Canyon and then on the "Mild Yet Wild" caving experience in this majestic cavern. You'll explore the Cathedral Room, The Hanging Gardens of King Solomon and the Lake Room. Our guide will take you off the beaten path into wild and undeveloped cave passages. You will get wet as you explore subterranean stream passages. For those who are more adventurous, there will be plenty of optional cave crawling. Some stooping and bending is required. This is a mildly strenuous activity. You will be outfitted with the proper caving gear and given safety and conservation instructions. All caving equipment is provided including a helmet, headlamp, coveralls and knee pads. This adventure is bound to be one of the highlights of your weekend! X-Cave: A commercial cave with electric lights. X-Cave has two vertical joint passages that meander through a large layer of limestone, putting you up-close to beautiful cave formations. Features include turkey rock, the pipe organ, and the giant column which is the largest cave formation found at the park. It's the one of the most unique caves you'll ever visit! Down For Dummies Rappelling: Ready to try rappelling? This is your opportunity! Under expert guidance and with the proper safety equipment, you'll be given formal instructions, clipped into a harness, and monitored as you descend the beautiful, 60-foot sandstone cliffs of Carter Caves State Resort Park. Fun and excitement are guaranteed! No experience is necessary. All equipment provided. For your safety and comfort, there is a weight limit of 250 pounds. In addition, you must also be able to fit into the harness per manufacturer's safety guidelines. Relaxation Yoga: After hiking in the afternoon, we'll take a trip to over to Cascade Cave where we will venture into the cave a short distance dressed for yoga. A silent, timeless chamber lit by soft cave lights makes the perfect atmosphere for yoga. Our certified yoga instructor, will take you through a series of yoga poses to stretch your muscles while breathing deeply, relieving stress and tension. The class will conclude with a long relaxation so that you feel calm, refreshed and renewed. This class requires no prior yoga experience. Friday Lunch: We'll start our weekend of adventure with a quick and easy Soup & Salad Bar lunch at the lodge restaurant. Friday Evening Desserts: Enjoy getting to know your guide and fellow adventurers over desserts and coffee. We may indulge just a little. Bring your own wine. Saturday Breakfast: Starting your day with a good breakfast is one of the best health decisions you can make. Breakfast literally means 'breaking your overnight fast'. Your guide will serve a simple, healthy and delicious breakfast on Saturday to get you ready for a full day of exercise, excitement and adventure. Saturday Dinner: Unwind with fellow adventurers on Saturday evening around the dinner table in the lodge after a full day of activities. Choose from a wide variety of entrees, side dishes and desserts. Includes soup and salad bar too! Until My Ship Comes In: A Guide to Winning Over Chronic Stress: Are you waiting for your ship to come in? Why wait? Do it now! This interactive workshop will explore the meaning of chronic versus situational stress, and how so many of us put off our own happiness waiting for something to change. This seminar will address the power of negative emotions on our mind, body and spirit, and how to combat those emotions by being proactive and intentional in our emotional and physical health. You will learn the top "Five Regrets" that people have later life. Learn how you can use outdoor adventure now to eliminate these regrets. Program presented by Kristy Matheson. 9:00am Meet and Greet. Olive Hill Room in lower level of the lodge. 10:00am Presentation. Until My Ship Comes In: A Guide to Winning Over Chronic Stress. Olive Hill Room. 11:30am Lunch. Soup and salad bar in lodge restaurant. 1:30pm Rappelling. 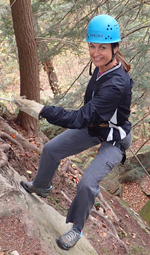 A scenic, fun and exciting rappel from a 60 foot sandstone cliff. 5:00pm Yoga In The Cave. Awaken your mind, body, and spirit. 6:30pm Dinner. On your own. Dine in the lodge restaurant or prepare your own in your fully equipped cottage. 7:30pm Desserts and coffee. Guide cabin. BYO-Wine. 8:00am Breakfast. Healthy, simple yet satisfying. In the guide cabin. 9:00am Mild Yet Wild Cave Trip. Let's explore majestic Cascade Cave and get off the beaten path. 12:30pm Lunch. On your own. Dine in the lodge restaurant or prepare your own in your fully equipped cottage. 2:00pm Three Bridges Hike. A three-mile hike exploring the arches and bridges of Carter Caves. 5:00pm Yoga or Free Time. Choose an outside yoga session or nothing at all. 6:00pm Free Time. Relax and unwind at your cottage. 6:30pm Dinner. Buffet in lodge restaurant. 7:30pm Evening Activities. Relax? Campfire? Hike To Smoky Lake? ??? Breakfast. On your own. Dine in the lodge restaurant or prepare your own in your fully equipped cottage. 9:00am A Tour of X-Cave. An easy, walking cave tour. 10:00am Natural Bridge Hike. A short and scenic must-see. 11:00am Check-Out Time. Event ends. Stay longer and enjoy the park. 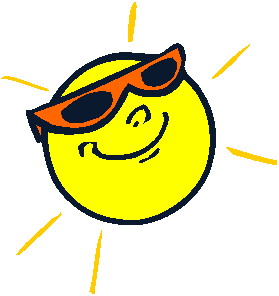 Note: The schedule of activities may be re-arranged or change depending on the weather conditions. "Mild Yet Wild" cave trip including all equipment. "Down For Dummies" rappelling including all equipment. "Yoga In The Cave" led by a certified yoga instructor. Guided walking tour of X-Cave. Wellness Presentation: When Your Ship Comes In. Friday lunch of soup and salad bar in the lodge restaurant. Friday evening desserts and coffee. Saturday morning "light and healthy" breakfast. Saturday dinner buffet in the lodge restaurant. Friday dinner, Saturday lunch, Sunday breakfast. View the lodge restaurant Breakfast Menu and Lunch & Dinner Menu . Your guide is highly experienced and has current Wilderness First Aid and CPR/AED certifications. Cancellation Policy: Your registration fee includes a non-refundable deposit of 25% of the amount paid. Your registration fee is refundable, minus the 25% non-refundable deposit, if you cancel before October 1, 2018. Important: All participants must complete an adventure application and sign a liability waiver. Adventure Application PDF with fill-able form fields or Adventure Application PDF to download/print. Application must be returned for your registration to be confirmed. Notes: Minimum age is 14. Adult family member must accompany minor children. Inquire about children younger than 14. No pets permitted. All of our trips are non-smoking. A recommended packing list, meeting location and trip details will be sent via email to registered participants. Sign Up With PayPal! - $400.00/person. Sign Up By Mail. Pay By Check - $390.00/person. Paying by check saves you $10.00! 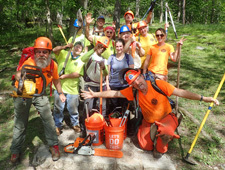 Make a check payable to Outdoor Adventure Connection and mail to our address. Please include your completed Adventure Application with your payment. Important! Send an email to indicating your check and application are on the way so we can reserve a spot for you.